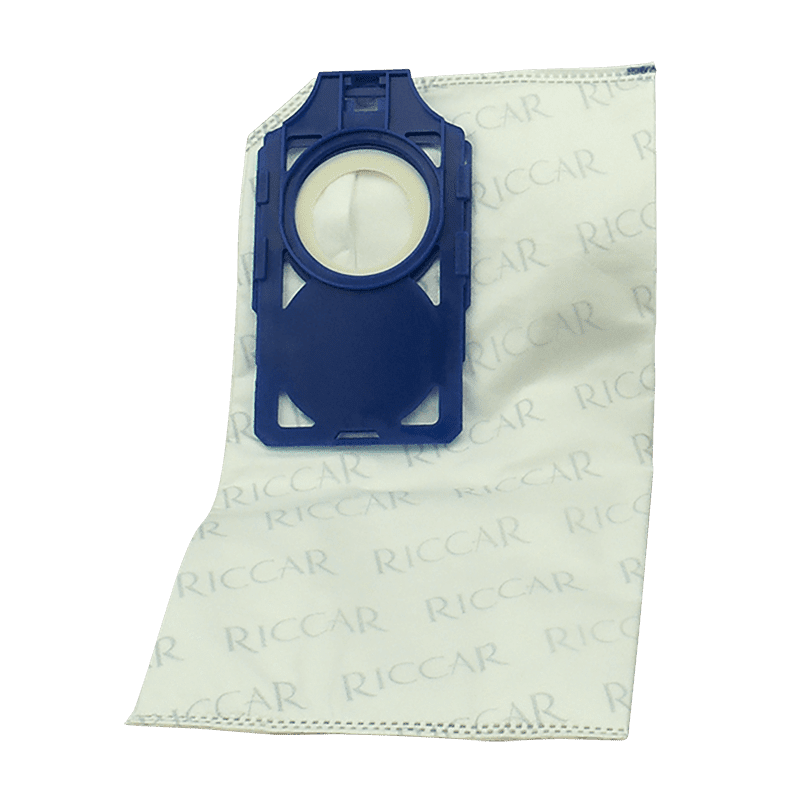 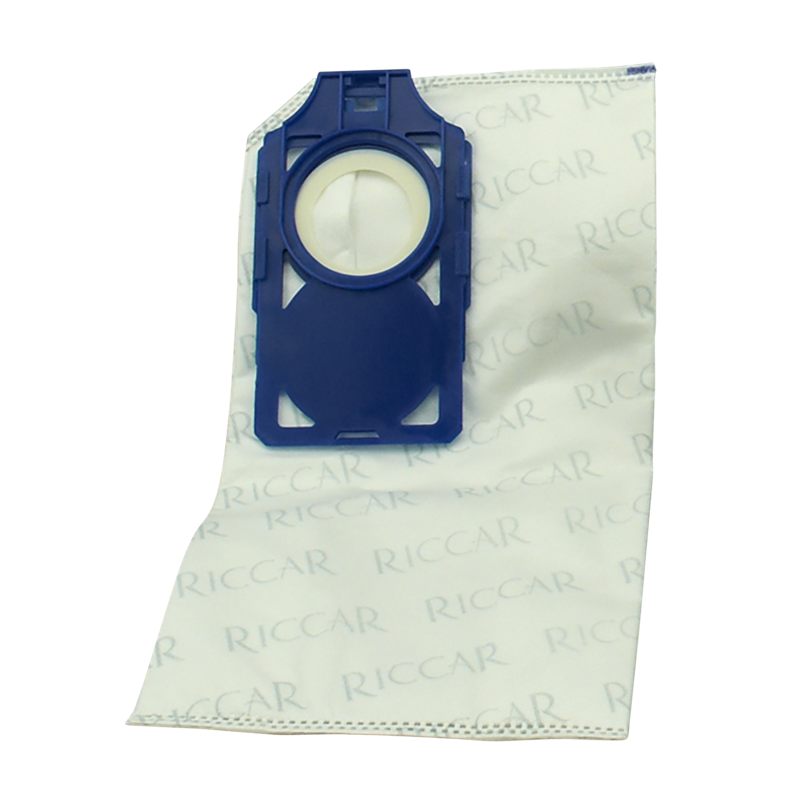 Genuine Riccar bags are designed to precise specifications to trap particles and to reduce dust leakage and breaking. 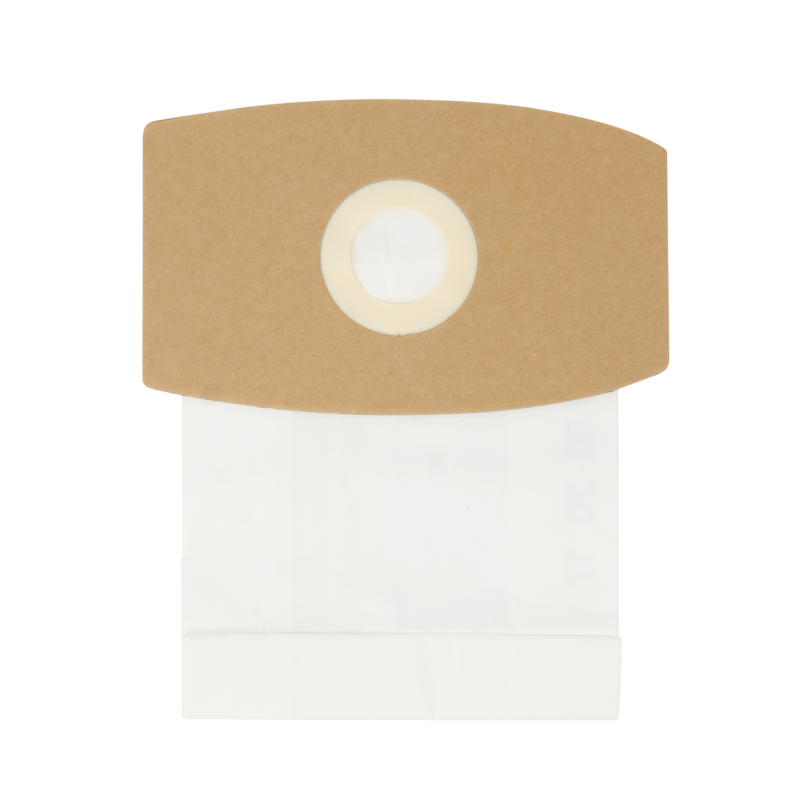 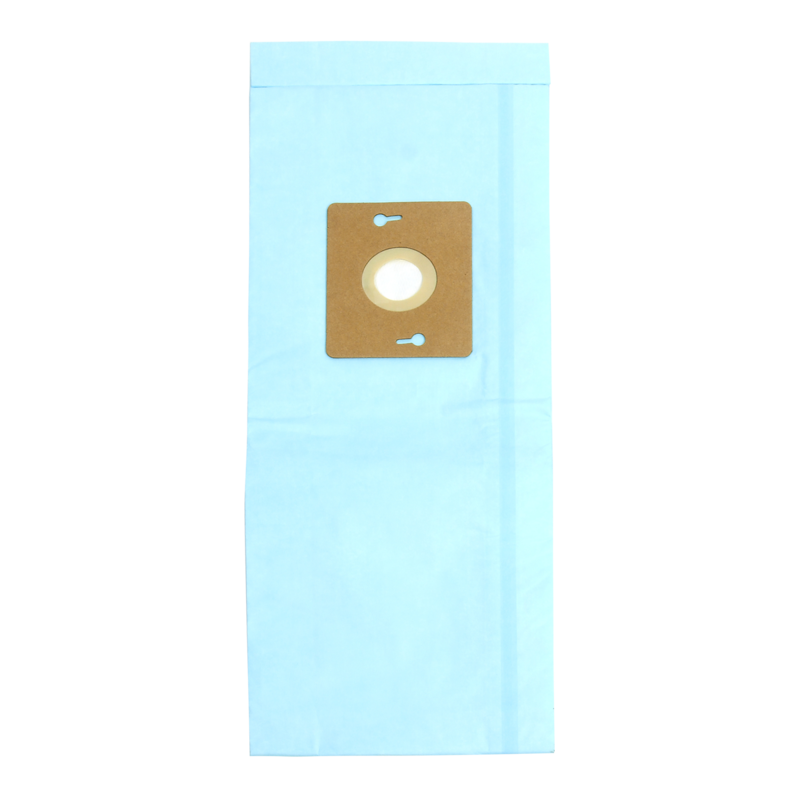 Keep the ultra-high level of filtration with these genuine HEPA media bags. 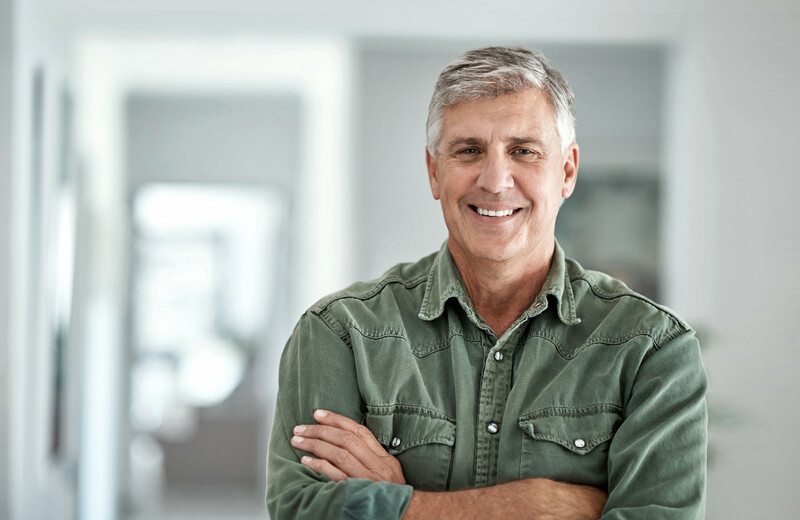 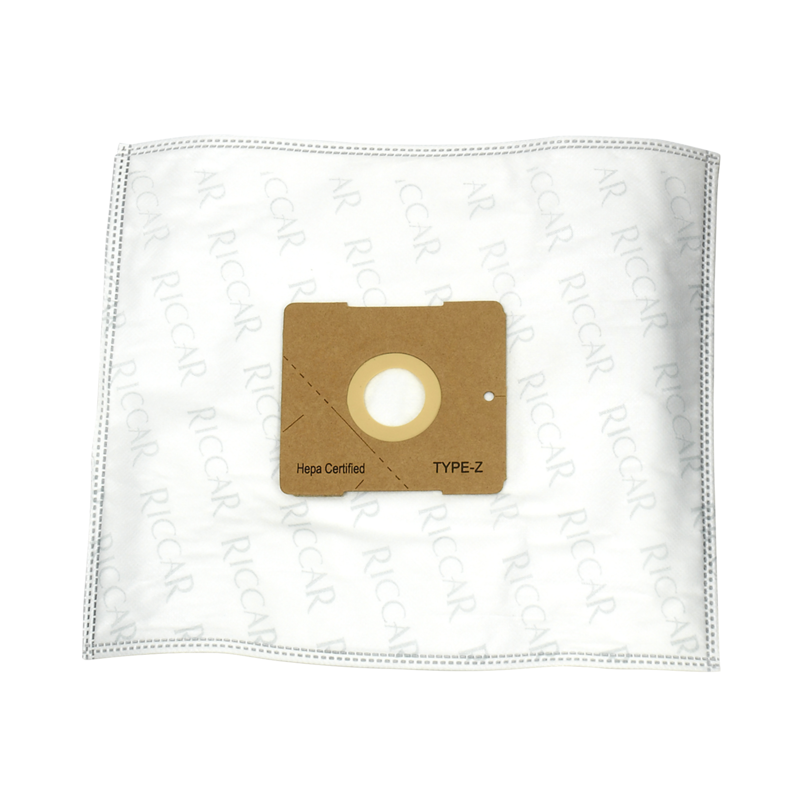 Ultra-thick, heavy duty HEPA media filtration vacuum bags trap dust, pet hair and allergens contained in your Riccar bagged central vacuum. 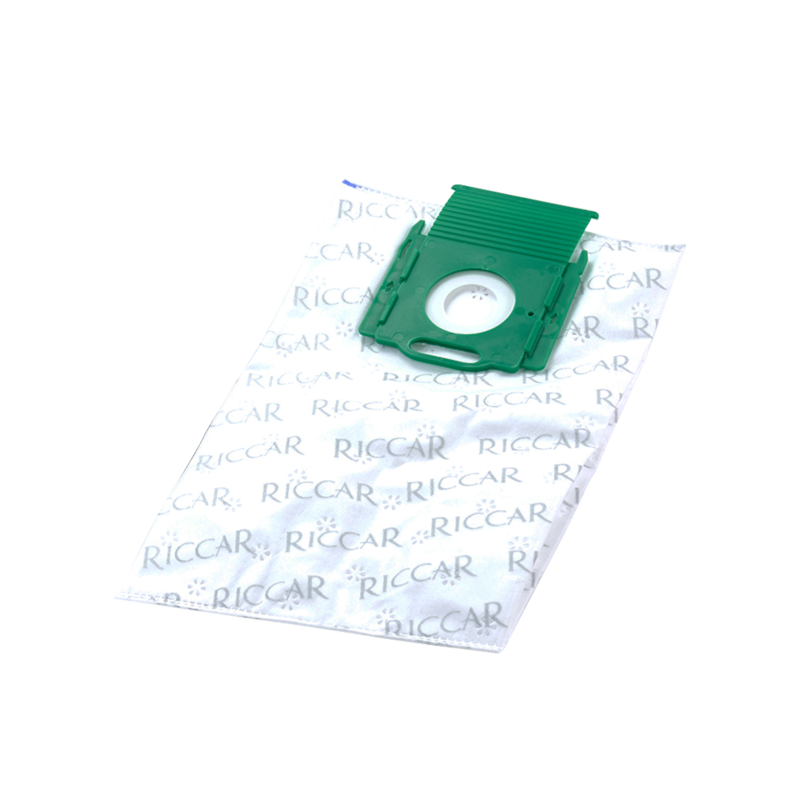 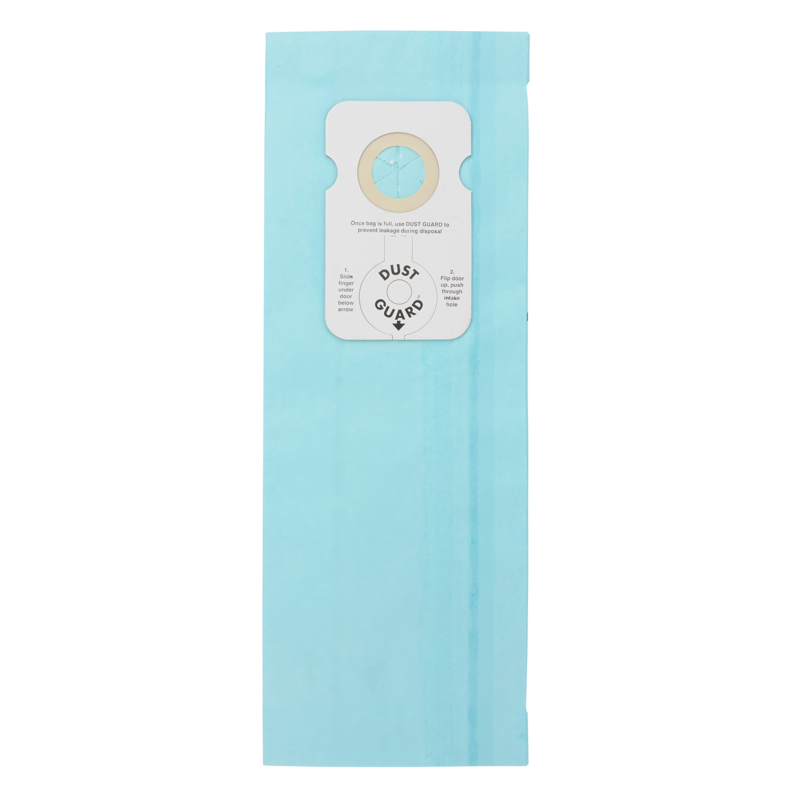 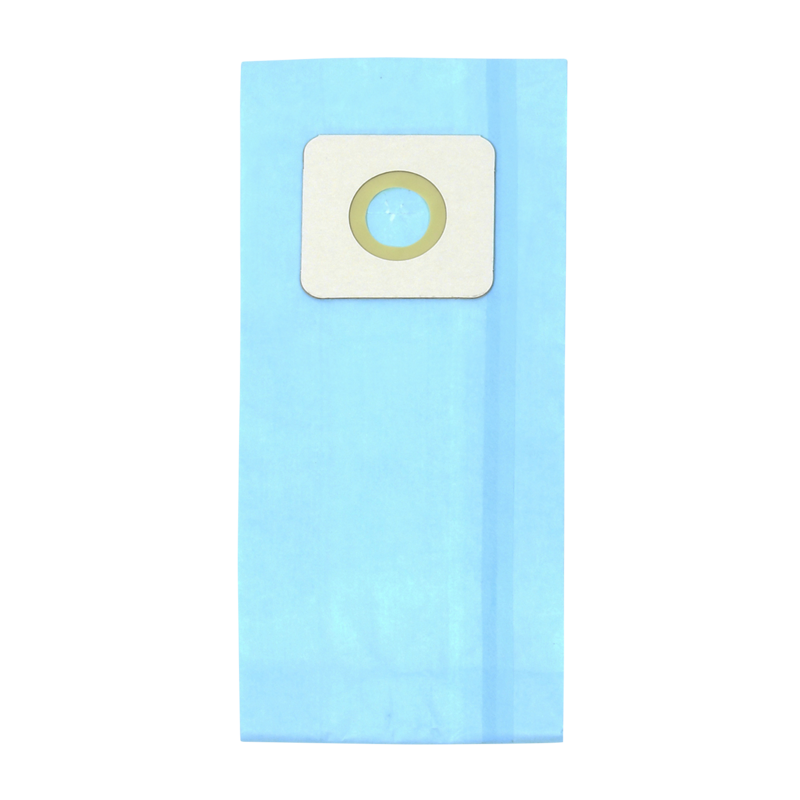 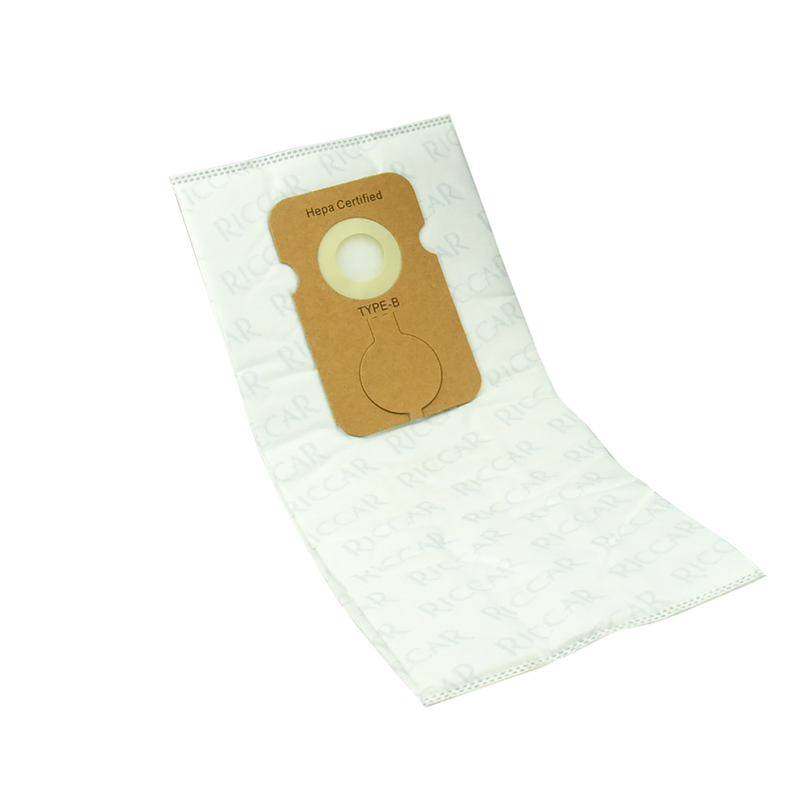 Genuine HEPA media type Z bags for Riccar Moonlight and Simplicity Jill. 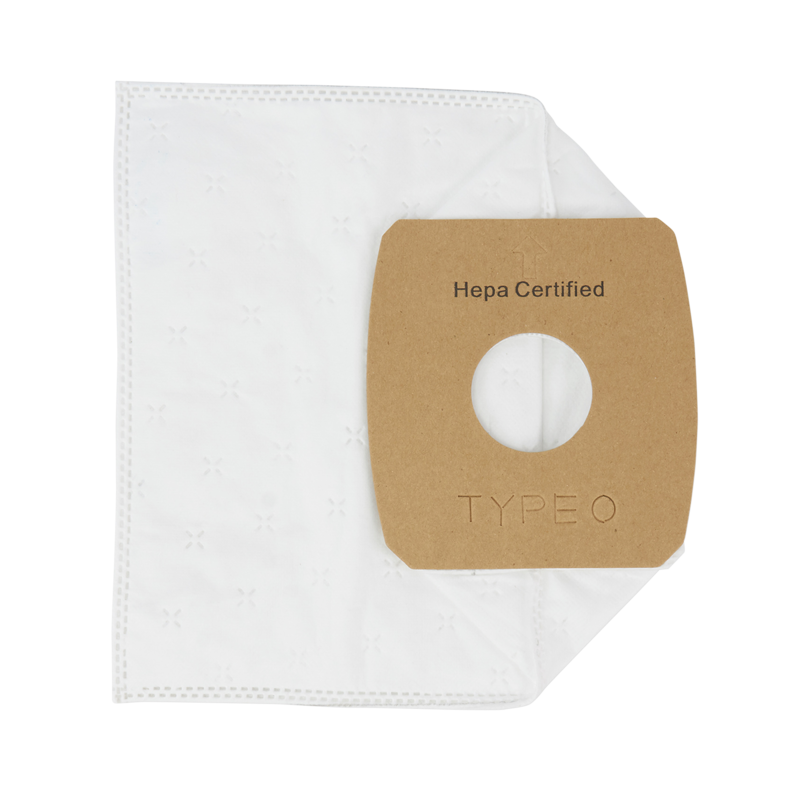 Genuine HEPA media type X bags. 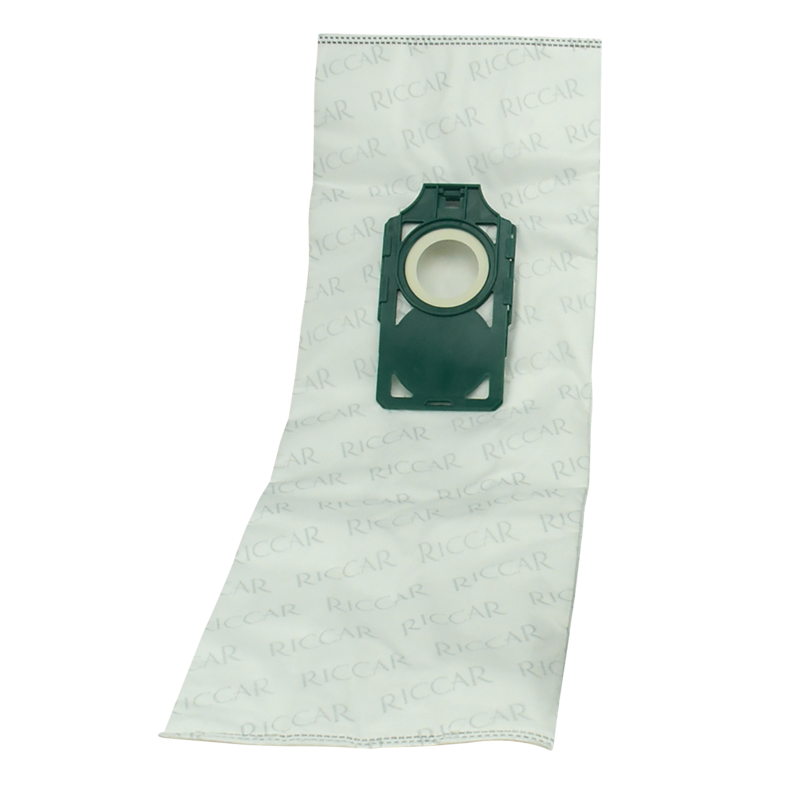 HEPA media bags are specially designed to handle the unique dirt compression of Brilliance Tandem Air vacuum technology. 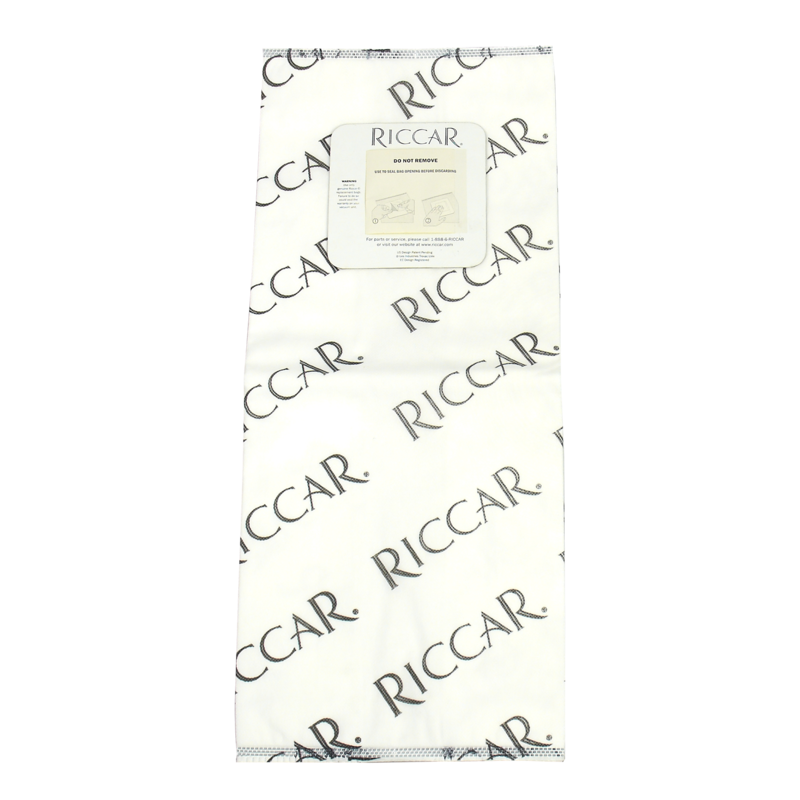 Ultra filtration paper bags for Riccar SupraLite vacuums provide 99.7% filtration. 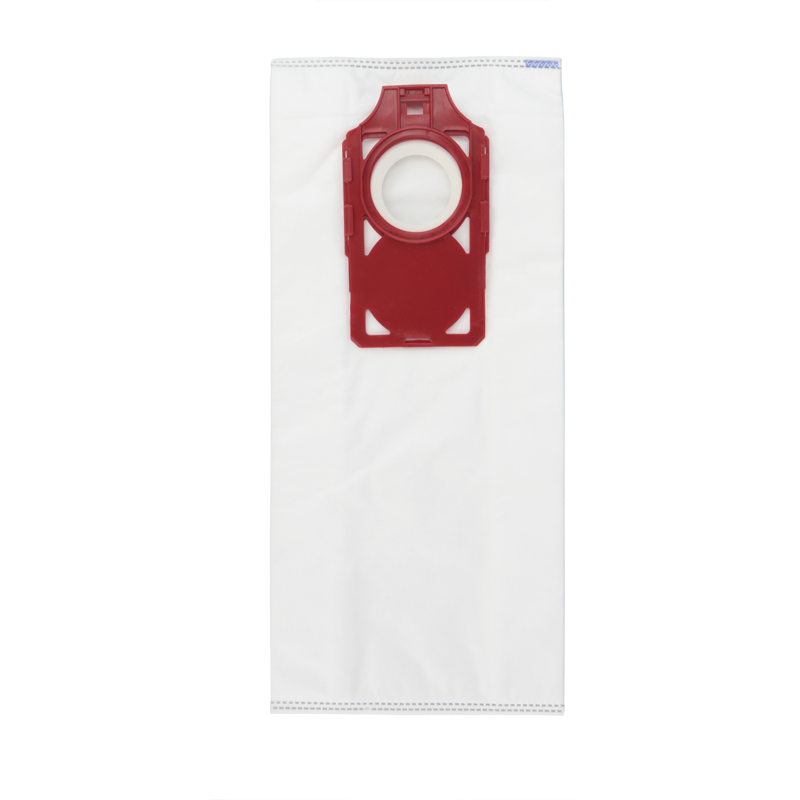 Genuine HEPA media bags fit the Butler portable canister vacuum. 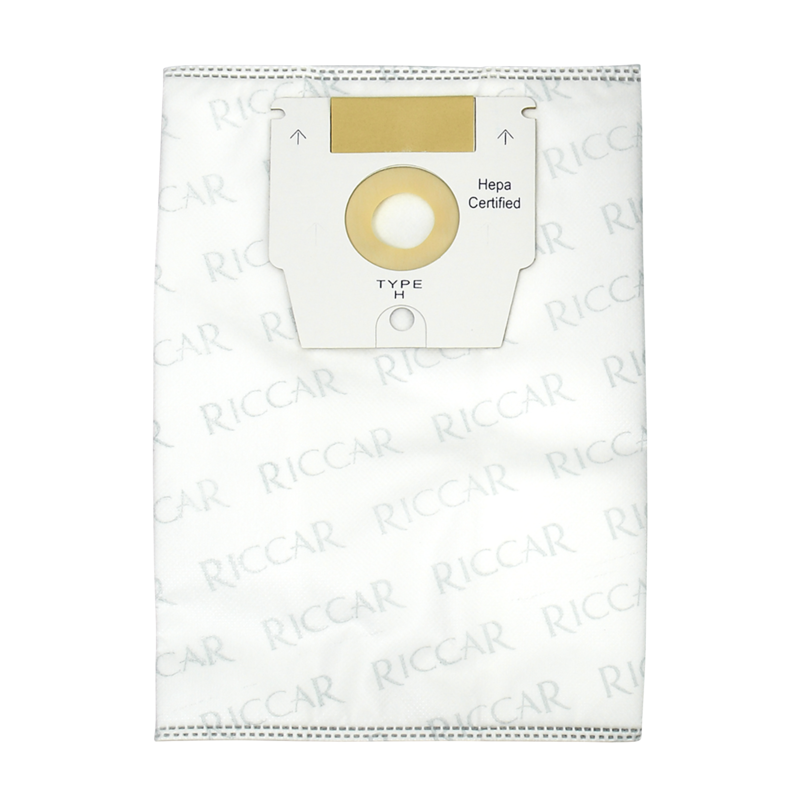 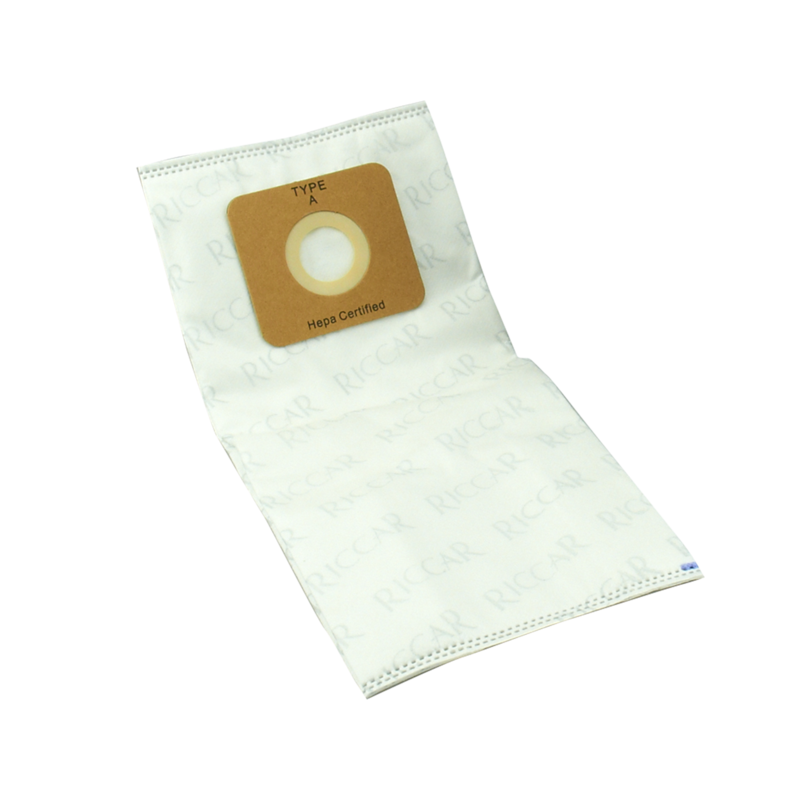 Genuine HEPA media type H bags for Riccar mid-size and full-size canisters. 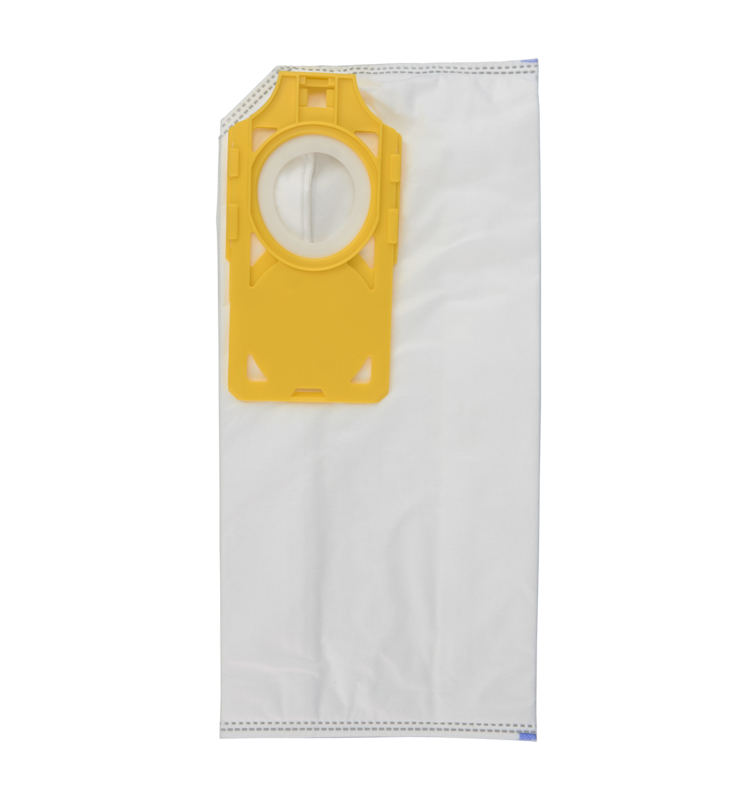 These high-capacity bags feature a sturdy bag closure for clean disposal. 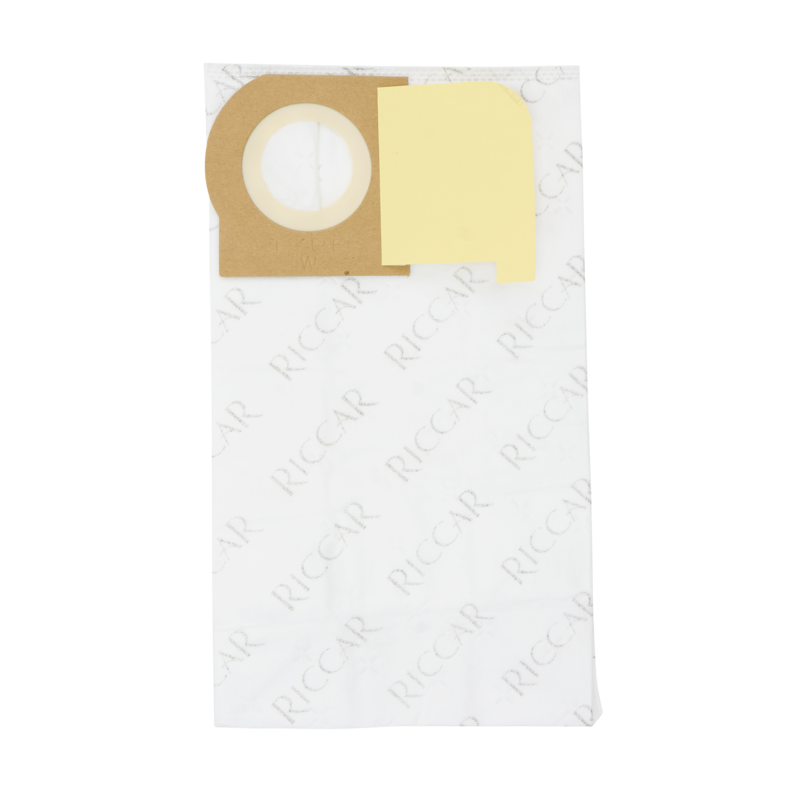 Genuine HEPA media bags fit models in the 8000 and 8900 Series. 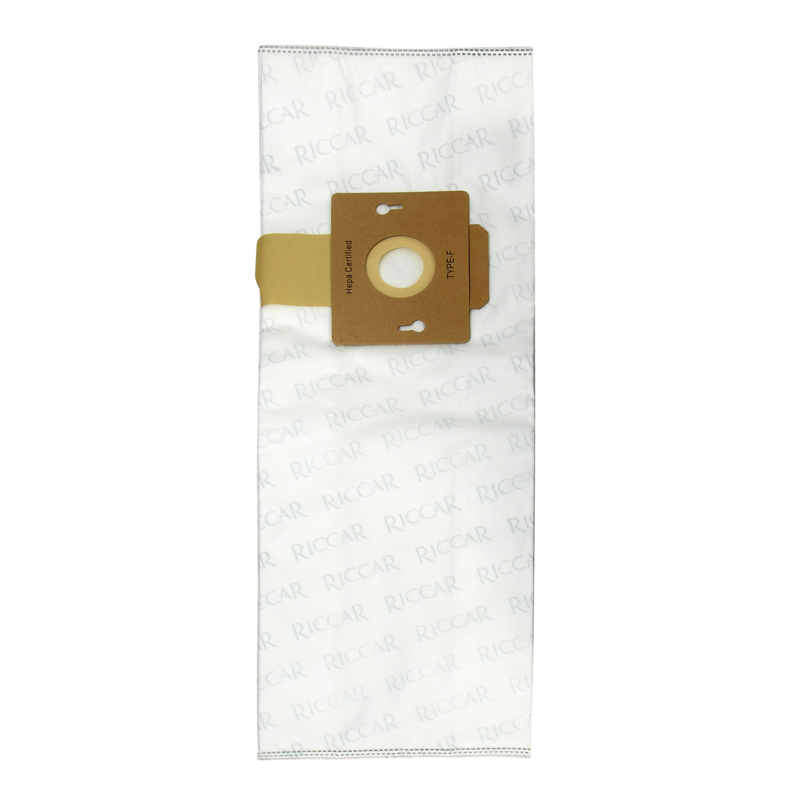 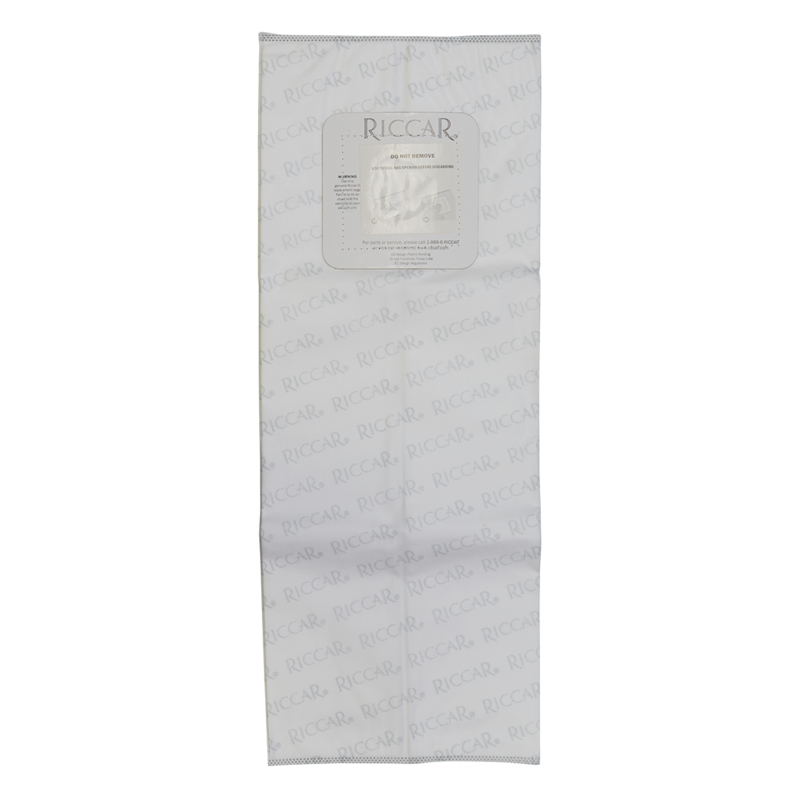 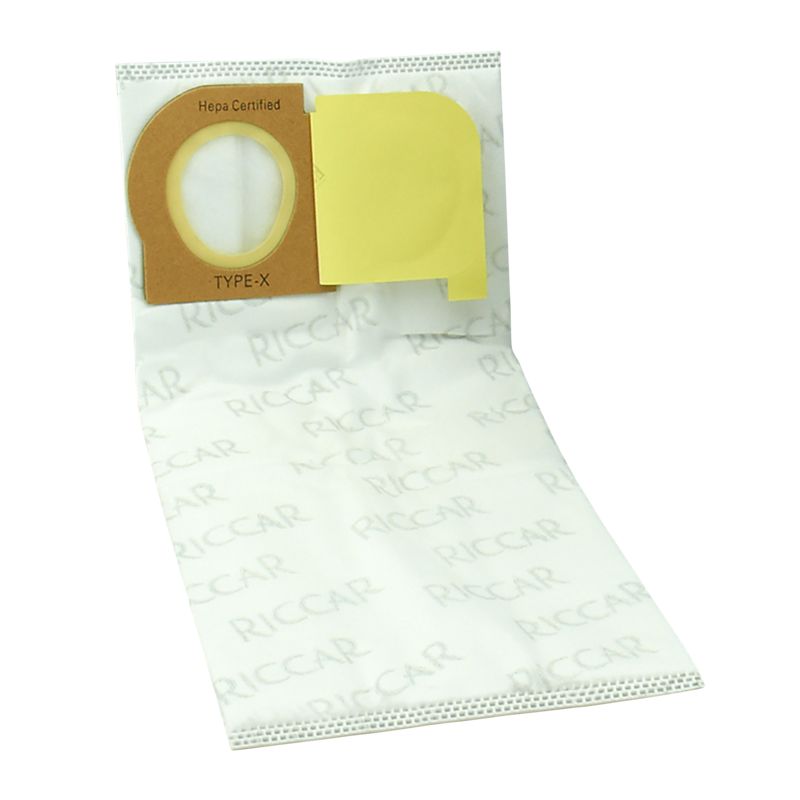 Genuine Riccar ultra-filtration paper vacuum bags for the 8000 series.